Dancing is natural - ask almost any child to dance, and they will move to the music. So why do so many people find it hard to dance when they reach their teens or adulthood? There are several things that can hold us back, or discourage us, when we try to learn dancing as adults. Most people have heard the saying that starts, "Dance like nobody's watching...". It's human nature to dislike looking foolish. When we're learning something new, we hate having an audience watching our silly mistakes. Dancing feels so public - we're standing up in the middle of a crowd of other people, making big movements - surely everyone is watching us? The standard teacher's answer for this is, "don't be silly, everyone else in the class is too busy worrying about their own mistakes." I've been guilty of saying that myself - but of course, it's nonsense! Of course there will be times when other students are watching you - it's up to you to take your opportunities to watch them. Chances are, you'll find you're not the only one struggling with the steps! If the thought of embarrassment is holding you back from starting a dance course, a good solution is to buy a beginners' dance DVD and use it to learn the basics before enrolling for your first class. That will help you get over the first hurdle. The other thing that holds adults back is resistance to change. We all have patterns of movement that we've learned growing up (muscle memory). Your body likes doing repetitive movements - stuff it already knows and doesn't have to think about. Dance requires you to move your arms and legs in strange and unusual ways. Your eyes may watch and your brain may comprehend, but it can take a while for it to direct your limbs to interpret these new and unfamiliar movements. Be patient with yourself and understand it's the way your body works. Eventually, these new movements will become part of your muscle memory, too, and you'll be able to do them almost without thinking. If you need a crash course to so you can quickly grasp a few basic dances to get you through an upcoming social dance, I found this book to be very helpful! The book is fairly unique since it teaches you a few very basic concepts that you can use to "get you through" almost any type of dancing event. I gave this book to my sister before my wedding since she swore that she would look like a fool on the dance floor. After reading this she wasn't exactly an expert, but she did look good on the dance floor! It really made her feel confident and comfortable dancing which was the biggest benefit. If you've tried to learn dancing and failed miserably, don't be too quick to give up. In dancing as in any other skill, there are good teachers and bad teachers. Someone can be a fantastic dancer but a hopeless teacher, and vice versa. For instance, Margot Fonteyn was one of the greatest dancers in the world, but she couldn't teach. Whereas Dame Ninette de Valois was never a great dancer herself, but her ballet classes were among the best I've ever seen. So if you joined a school and didn't learn very much, ask yourself - could it have been the teacher at fault, not me? It doesn't mean the teacher is incompetent, either. Different people have different ways of learning, and perhaps that teacher's style didn't suit you. A good teacher should be able to adapt their teaching methods to the student, but that's not always the case. The other possibility is that you picked a style of dance that doesn't suit you, or was too technical. If you've never danced before, the complex rhythms and fast footwork of flamenco would be too much of a challenge as a first dance style. If you're inflexible, I wouldn't recommend starting cold with ballet either - do some yoga first, or pilates, to get your body used to the new demands ballet will place on it. 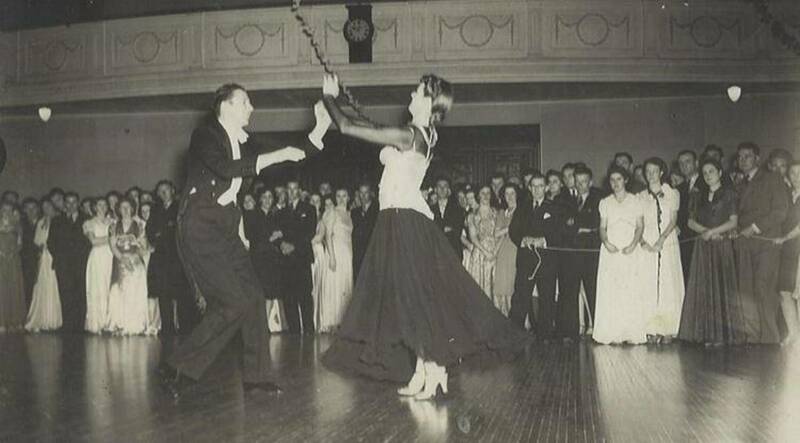 A good starting point for most people is social dancing like Ballroom, Latin or Street Latin, Swing or modern jive (Ceroc etc). You don't need to bring your own partner - most schools rotate partners so you won't feel left out if you're on your own. For women, belly dancing is a good introduction because it's gentle, the environment is very supportive and the beginners' steps are simple. The final - and unfortunately, the biggest - stumbling block is rhythm. Going back to those dancing children - they all dance when the music plays, but you'll notice that some dance in sync with the beat, whereas others bop around with no reference to the rhythm. Those children who keep time without thinking are lucky. A lack of rhythm is by far the biggest obstacle to learning to dance - but it's not insurmountable. I used to think a sense of rhythm was inborn - you either had it or you didn't. 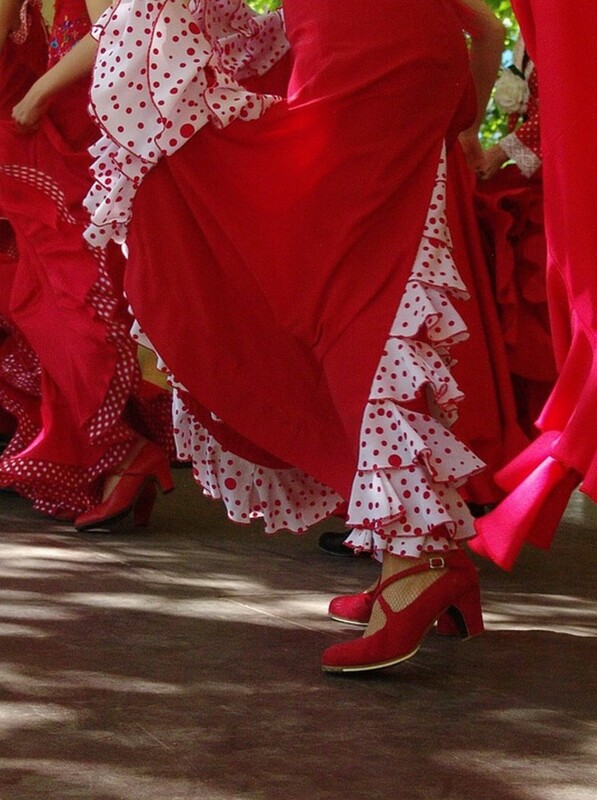 Then I started flamenco. All of a sudden I was in a different world - songs with 12 beats to the bar, routines that started on 12 instead of 1 - even melodies in 3/4 or 4/4 time seemed to cut across the rhythm in strange ways. I felt I'd lost my sense of rhythm completely! I noticed my Spanish colleagues, who'd grown up with the music, took the rhythms for granted - just the way I'd taken mine for granted. But eventually, I learned. It made me realise my sense of rhythm had been learned, not inborn. I'd been surrounded by music all my life - starting with my mother singing lullabies, then the radio, then my teenage sisters' records, then my piano lessons, and I had just absorbed it. So these days, I believe rhythm can be learned. However, trying to learn to keep time and master dance steps, all at the same time, is too much new information at once! If you have no rhythm, it's easier to fix that problem first - then graduate to dancing when you begin to feel the beat. If you have a friend or family member with a good sense of rhythm, get them to sit with you and clap along to music - any music. If they can't spare the time, get yourself a metronome and ask them to set it to the right tempo at the start of each track, then clap along with the metronome. Learning a musical instrument is a good way to learn rhythm. When you read music, you can see the rhythm on the page while you play, and many people find that helps. If you don't have the patience for all that and want to start dancing straight away, then pick a style with easy steps and simple music. Rock'n'roll, swing or modern jive are the easiest, because the music usually has a 4/4 signature and a loud bass beat. 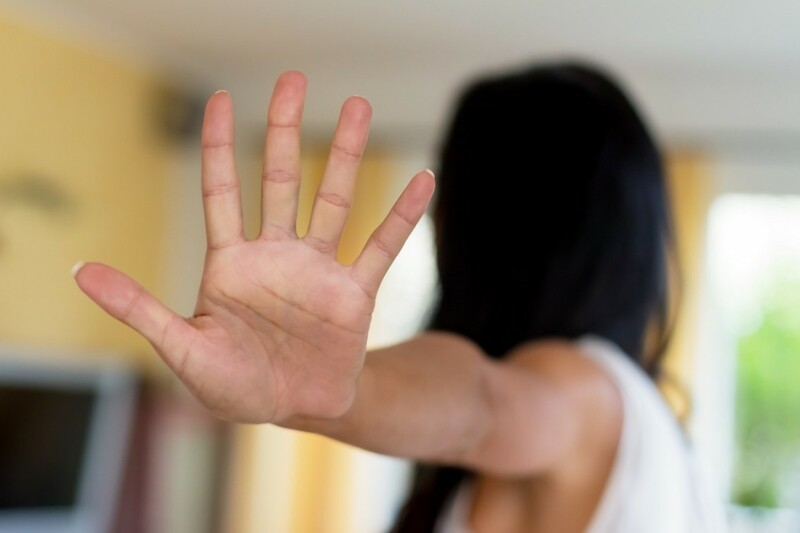 Steer clear of Latin dances (Salsa, cha cha, rumba etc) because the steps are syncopated, and that's the hardest type of beat to follow if you're not rhythmic. Dance can be a very rewarding and enjoyable hobby (or it can take over your life, but that's another story!). Be patient with yourself. Your article is right on. I have three left feet and I'm tone deaf but i learned to dance with a lot of help from my wife and three teachers. The last two being better than the first. I'm so glad I came across your article. 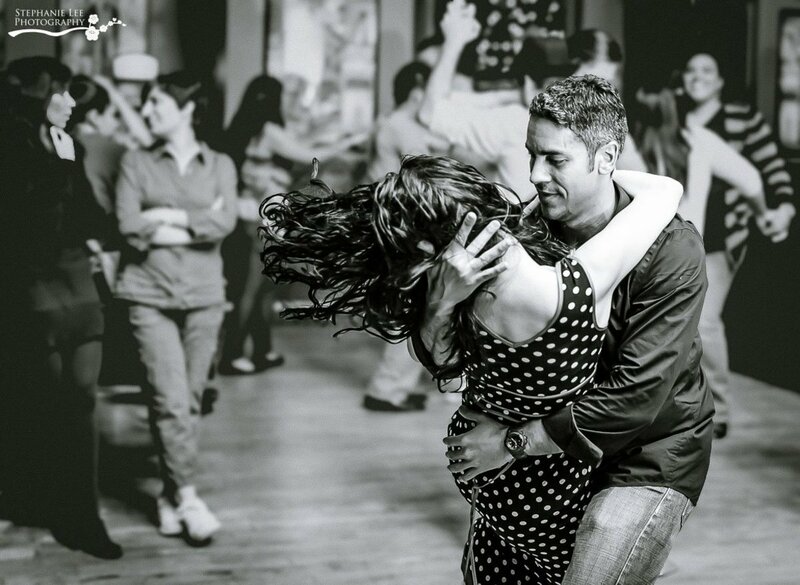 I had rhythm when I was young, but as I got older and busy with being a wife and mom I stopped dancing. I had a hormonal issues which made me a very large women...now that's taken care of I'm back to a normal size but still feel as if I was that heavy women... and wouldn't you know it. I've lost my rhythm or maybe I'm just afraid I'll fall I'm concentrating so much on that I don't hear the rhythm anymore. You've given me hope and the others have given me thoughts on what to do... listening to music sounds like a great way to bring me back to something I love to do... DANCE. Perhaps try closing your eyes. I suggest sitting/laying down at first, and really really to the music. 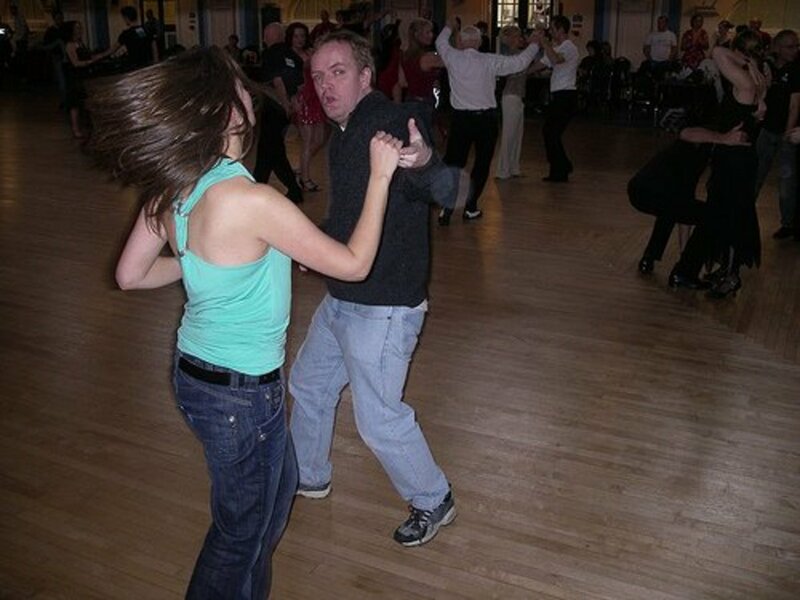 Then try dancing with someone you trust, feel comfortable with, whilst your eyes are closed. @abrodech, you made a great comment, but unfortunately I can't publish it. It's considered bad manners to link to your Hubs in a comment - especially if you link more than one! Yeah dancing is really hard, especially at the very beginning. You REALLY, REALLY, REALLY have to WANT to learn how to dance. If you go into half heartedly, then it won't work. Another thing is that you need to RELAX, and not try too hard. Even though the movements may seem unnatural compared to our normal daily activities, they should flow. I find that it really helps to listen to the music, like just sit down and LISTEN to it. If you do that a lot, and for a long enough period of time you'll really get a sense of the rhythm and how the music feels, and it'll speak to you after a while. I wrote two hub articles on how to learn to dance salsa and bachata well, so I invite you to come have a look see and read it because I think it could be really helpful for those of you looking to learn and/or improve your dancing! Everyone can dance! We just can't let our inhibitions hold us back! My own experience in dancing it´s similar. I can't get the rhytnm. Rob, I've tried to be upbeat in the article, because so many people could do it and don't even try. But you're right - some people simply have no sense of rhythm, and never will no matter what they do. I'm sorry to hear you're one of them! Great article. Unfortunately even if you want to dance... no matter how hard you try you may never be able to. Take me for example. While I can do a basic fox trot... I can do nothing else. Rhythm being my main problem. I've even studied with several rhythm coaches. Trying to learn with metronomes and other methods. I wanted so bad to learn, but alas both tutors could not help me. And to this day I remain the only student to have failed one of them. I'm just not wired to hear or feel the beats. Either the music disappears or it's all I'm able to concentrate on and I lose myself in that singular action. I attribute it my failings as a dancer to inability to multitask as well as my poor rhythm. To this day I have the worst time to walking and chew gum, as they say. My hope, by writing this little comment, is that some people accept that they can't dance and begin to enjoy other aspects of life. It's wonderful to reach for the stars. But short people can't ever touch the ceiling, on their own, no matter how much they wish they were taller. I love dance but haven't been in 20 years your hub sure makes me miss it.. I really enjoyed reading this! It was very detaild, being a professional i feel that you hit it the nail right on the head! Nice sharing about "Learing to Dance". I love dancing but i can not sing. Great information. I am glad there is someone like you to write about the dance topic. I love dancing- I completely lose myself in it. I dance as a part of my workout routine. 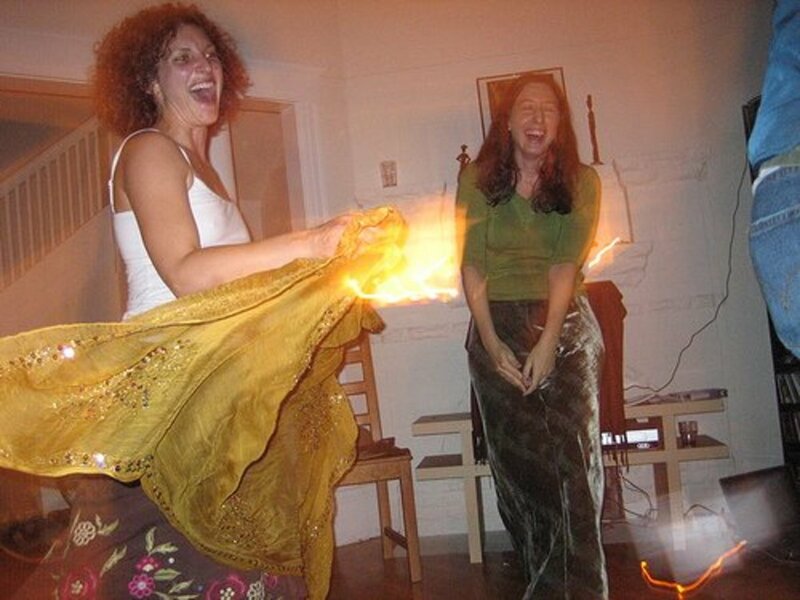 Dancing is almost as they say about laughter: a good medicine!